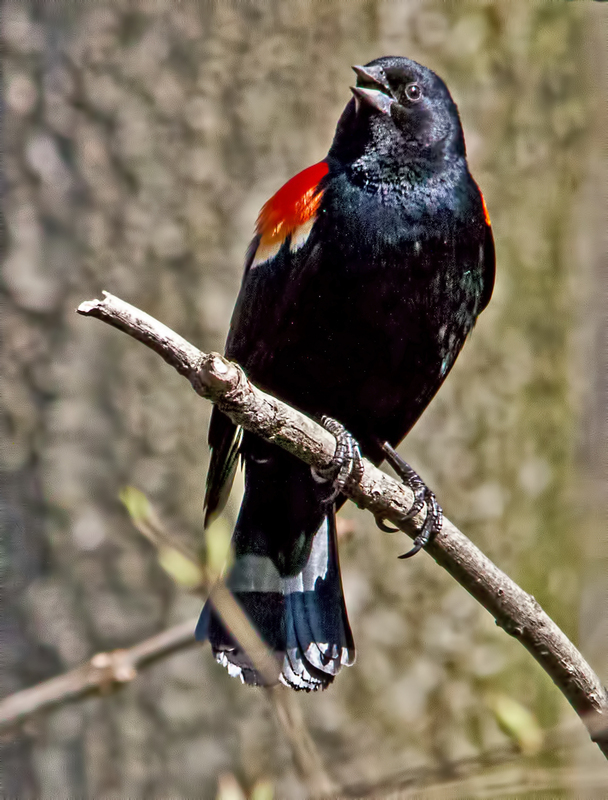 A cheerful looking red-winged blackbird. A male red-winged blackbird, I should say. In a surprising number of bird species the males and females look very much alike, with maybe a darker head or a brighter breast the only distinguishing feature, and some of them only the experts can tell apart. 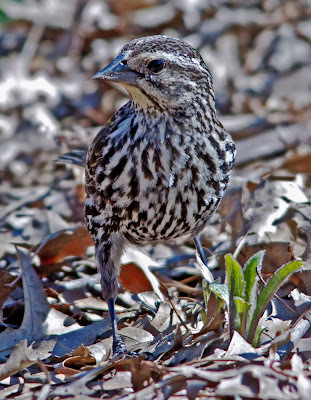 But apart from exotic tropical species where the males sport three foot tail feathers, I don't know any female birds that look less like the males than the scrawny striped female red wings.